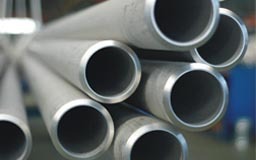 Numax Steels is the most acclaimed manufacturer, exporter, importers and supplier of industrial Duplex Stainless Steel Pipes & Tubesto oue valued customers in different grades, lengths and thickness. 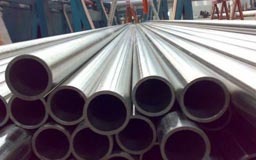 These pipes are resistant to corrosion and are widely appreciated in the market. We offer qualitative these Duplex Steel Seamless Pipes in different sizes and shapes that are being designed as per the national and international standard quality of raw materials. Duplex is a mixed microstructure with about equal proportions of ferrite and austenite, duplex stainless steels are a family of grades, which range in corrosion performance depending on their alloy content. The chemical composition based on high contents of Cr and Mo, improves intergranular and pitting corrosion resistance, respectively. 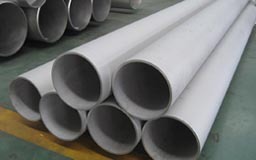 Duplex Steel UNS S31803 EFW Pipes, Duplex S32205 Pipes & Tubes, Duplex S32205 ERW Pipes, Duplex Steel Fabricated Pipes, Duplex Fabricated Tubes Supplier & Exporter in India. Maiduguri, Azerbaijan, Cameroon, Argentina, Alexandria, Abidjan, Harare, Sri Lanka, Omdurman, Africa, Johannesburg, Houston, Addis Ababa, Dar es Salaam, Tripoli, Dubai, Kano, Tunisia, Giza, New York, Bamako, Brazzaville, Angola, Qatar, Lubumbashi, Dakar, Uganda, Lagos, Mozambique, Mexico, Ethiopa, Egypt, Trinidad and Tobago, Mbuji-Mayi, Thailand (Bangkok), Russia, Peru, Israel, Oman, UK, Douala, Bulawayo, Italy, Mogadishu, Port Elizabeth, Australia, Cairo, Ghana, Hong Kong, Rabat, Kuwait, Cyprus, United States, Conakry, Kazakhstan, Khartoum, UAE, Freetown, Kampala, South Africa, Morocco, Kinshasa, Kaduna, Saudi Arabia, Antananarivo, Algiers, Chine, Soweto, Durban, Sudan, Accra, Malaysia, Port Harcourt, Vietnam, Abu Dhabi, Fez, Yaoundé, Kolwezi, Yemen, Subra al-Haymah, New Zealand, Cape Town, Iran, Zaria, Benin, Ouagadougou, Bahrain, Singapore, Venezuela, Jordan, Indonesia, Ibadan, Lebanon, Colombo, Brazil, Colombia, Turkey, London, Luanda, Pretoria, Germany, Canada, Algeria, Nigeria, Democratic Republic of the Congo, Maputo, Casablanca, Iraq, Nairobi. Johannesburg, Casablanca, Mogadishu, Abidjan, Brazzaville, Dakar, Kinshasa, Suryapet, Soweto, Giza, Lebanon, Maharashtra, Port Harcourt, Andhra Pradesh, Harare, Freetown, Qatar, Singapore, Bundi, Ghana, Mumbai, Lubumbashi, Nairobi, Benin, Tadepalligudem, Jaipur, Karnataka, Kaduna, Buxar, Durban, Benin, Maiduguri, Hong Kong, Zaria, Bulawayo, Jamalpur, Omdurman, Jordan, Udgir, Delhi, Sadar, Kolkata, Kerala, Mozambique, Angola, Morocco, Colombo, Manipur, Muktsar, Hyderabad, Ouagadougou, Miryalaguda, Ambala, Alexandria, Uganda, Pune, Cairo, Betul, Kampala, Kano, Kolwezi, Rabat, Tripura, Mbuji-Mayi, India, Cameroon, Maputo, Nagapattinam, Chennai, Fez, Ibadan, Thailand (Bangkok), Cyprus, New York, Antananarivo, Yaoundé, Abu Dhabi, Khartoum, Bamako, Surat, Dar es Salaam, Conakry, Lucknow, Democratic Republic of the Congo, Ethiopa, Baraut, Lagos, Bangalore, Ballia, Mizoram, Bansberia, Accra, Venezuela, Douala, Algiers, Cape Town, Tripoli, Russia, Algeria, Oman, Luanda, Subra al-Haymah, Port Elizabeth, Puducherry, Ahmedabad, Bhiwadi, Addis Ababa, Yemen, Pretoria.